We’re always amazed to hear from people about the variety of topics they cover using Talking Mats –from how someone is managing their self care or domestic tasks, to arranging a wedding, or thinking about whats important at a funeral. 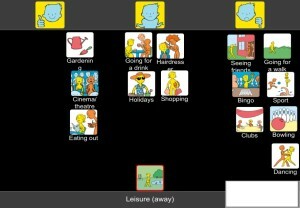 As a communication tool Talking Mats maximises a person’s capacity to reflect on a topic and express their view. It gives confidence in decision making. Here are some other topics we’ve heard about recently. What do you want to talk about? There is no limit! 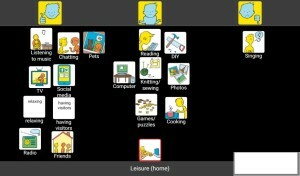 This entry was posted in Blog, Children and young people, Communication difficulties, Dementia, Learning disability, Personalisation and tagged Communication difficulties, Personalisation, Talking Mats on May 26, 2017 by Rhona Matthews. We are very grateful to Marieke Lindenschot from the Netherlands for this great blog about finding out what activities children like and we look forward to hearing the next stage of her PhD. For my PhD research in the Netherlands I use Talking Mats as a tool for my interviews with children. The children I interview vary in their communication abilities. Some are able to express their opinions and feelings very well, others are not able to communicate orally. As I was able to purchase the Talking Mats cards without text, I wrote down the words in Dutch in ‘children’s language’ on the cards. Last week was an exciting week. I conducted the first pilot interviews with a boy of 12 years, a boy of 9 years and a girl of 8 years. They varied in their development. The first interview went great. The child could express which activities he liked, which he disliked and which were ‘so, so’ (in between like and dislike). With Talking Mats he could also tell me with whom he performed the activities and where. It was a fun way to get a lot of information in only 15 minutes! The child and his mother were very enthusiastic. He was able to tell a lot more then he usually does when he is asked about his activities! Unfortunately the other two interviews didn’t produce the same amount of information. The cognitive level of these children seemed too low to use Talking Mats. The boy didn’t understand the top scale ‘like’ and ‘dislike’, whereas the girl didn’t recognize the activities on the cards. Overall we were very satisfied with these pilot interviews. The goal was to check if the interview guide with Talking Mats ‘worked’ and also to see for which developmental level this way of interviewing is possible. The pilot interviews gave a lot of information on these two goals. 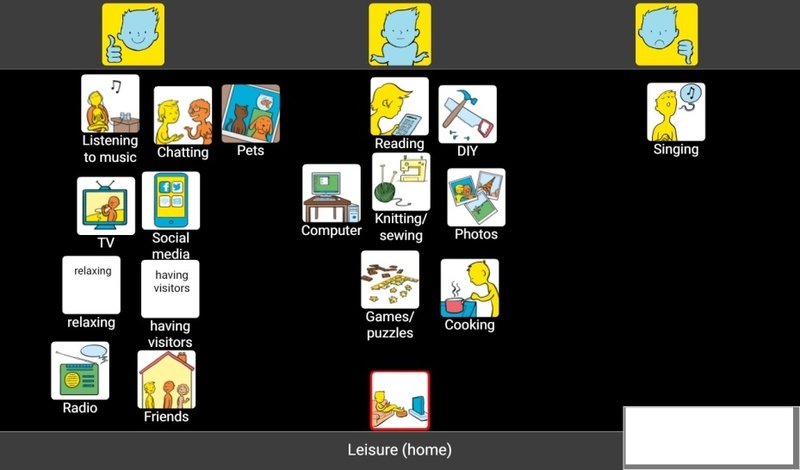 I am looking forward to the next interviews as Talking Mats showed to be a very helpful tool in finding out which activities children like. Please send us any other examples of how you have used Talking Mats. 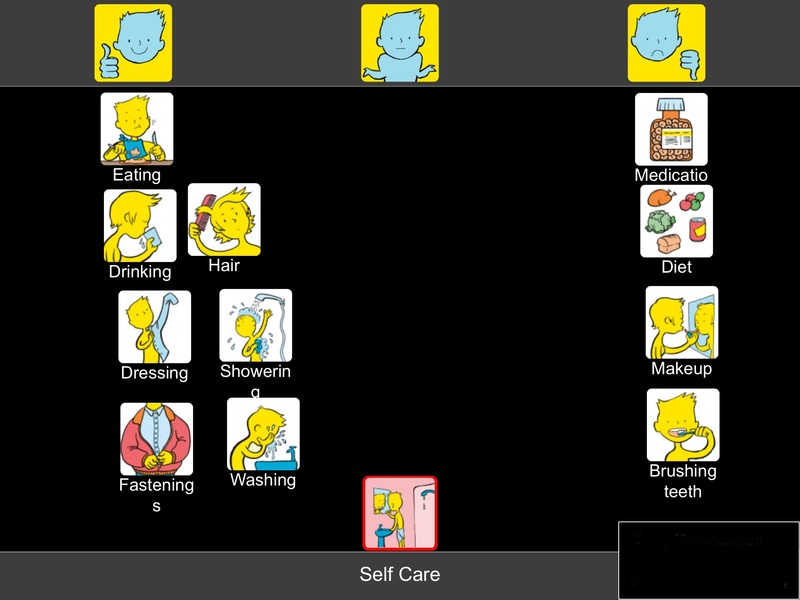 This entry was posted in Blog, Children and young people, Communication difficulties and tagged Children, Communication difficulties, Personalisation, Research, Talking Mats, Young people on May 5, 2017 by Joan Murphy.